A blowout was not the way the baseball team wanted to end their season, but that was the case as they were eliminated from the NCAA Division III Championships on May 19 after losing to third-ranked Trinity University 10-0 in Spokane, Wash. 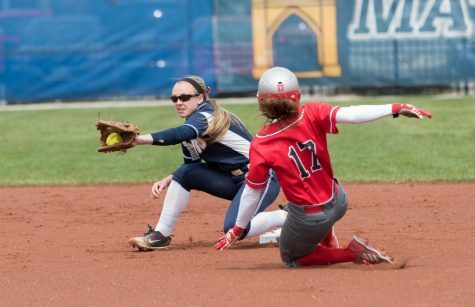 The loss was the second for Case Western Reserve University in the West Regional as they lost to host #18 Whitworth University 8-5 the previous night. The game against Whitworth was stopped multiple times due to inclement weather in the area. The first was a 50 minute lightning delay after the top of the fourth and the second, a 16 minute rain delay, came just a short while later in the top of the fifth. The Spartans were down early after the Whitworth Pirates scored two runs in both the first and second innings, then added another in the third to take a 5-0 lead. 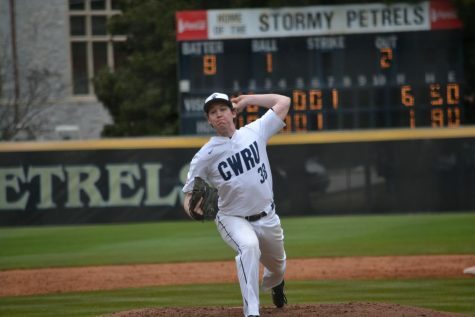 CWRU looked to have a rally in the bottom of the third as they loaded the bases with no outs, but only scored one run after first-year shortstop Rocco Maue grounded into a double play. After a walk, Whitworth starter Hugh Smith struck out first-year first baseman Mike Najmowicz to end the threat. Whitworth added two more in the fifth and one in the sixth to increase their lead to seven. 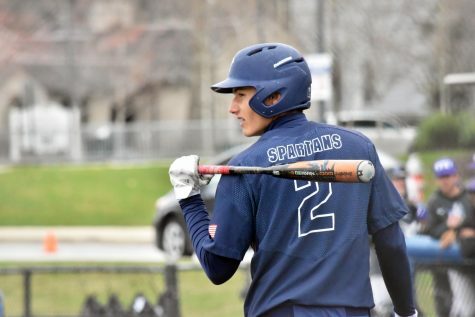 It looked like the Spartans did not have a chance, but they clawed their way back into the game, eventually putting the tying run on base in the bottom of the ninth. 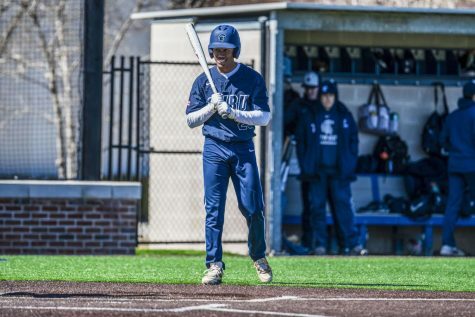 CWRU scored one in the seventh when third-year center fielder Aaron Cain crossed home on a Maue ground out. They added two in the eighth with RBI doubles from both Cain and second-year second baseman Alex Capetillo. In the ninth, Capetillo singled with the bases loaded to score Maue, making the score 8-5. Even with one out, the Spartans couldn’t push across the tying run, ending the game with the bases loaded. Englander said the team was “not gonna get away with [not competing early] against a good team.” He added it was frustrating that the team didn’t compete early, but did not blame his players for lack of effort. “Today’s a tough one [to lose]” he added. The second game, a must-win for the Spartans in the double elimination tournament, did not turn out the way the team planned. Trinity starter Teddy Turner fooled the Spartans’ hitters all game, finishing with 10 strikeouts in eight innings while only allowing four hits. The Tigers hit CWRU pitching hard, scoring 10 runs on 14 hits. 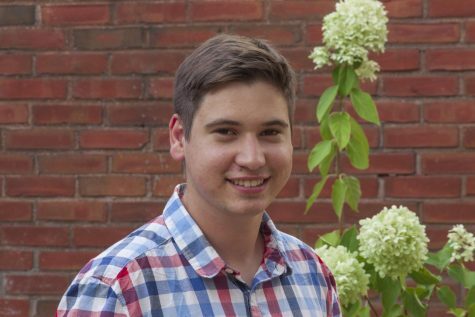 “Today’s pretty simple; we got beat by a better team,” said Englander after the game. 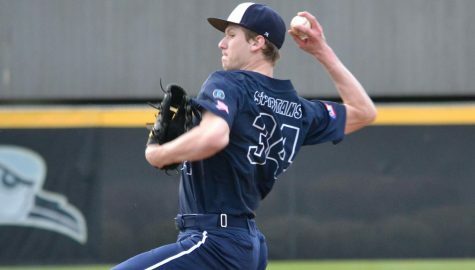 The third-ranked Tigers only had seven losses all year and are one of eight teams to advance to the Division III World Series, accomplishing the feat for the second straight year. Two Spartans received honors after the tournament. Capetillo was named to the All-West Regional Team following his four-for-six showing in the two games. He also drove in two runs, walked twice and scored a run. Second-year student Daniel Watson was named to the D3baseball.com All-Mideast Region Third Team after his outstanding year. Primarily the team’s designated hitter, Watson finished the year with a 0.359 average, a 0.478 on-base percentage, four homers and 23 steals. The Spartans finished the season with a record of 26-15, with this year’s appearance in the Division III Championships the team’s third in the last four years.